At the Garden, a school field trip is an educational science adventure through the themed gardens. 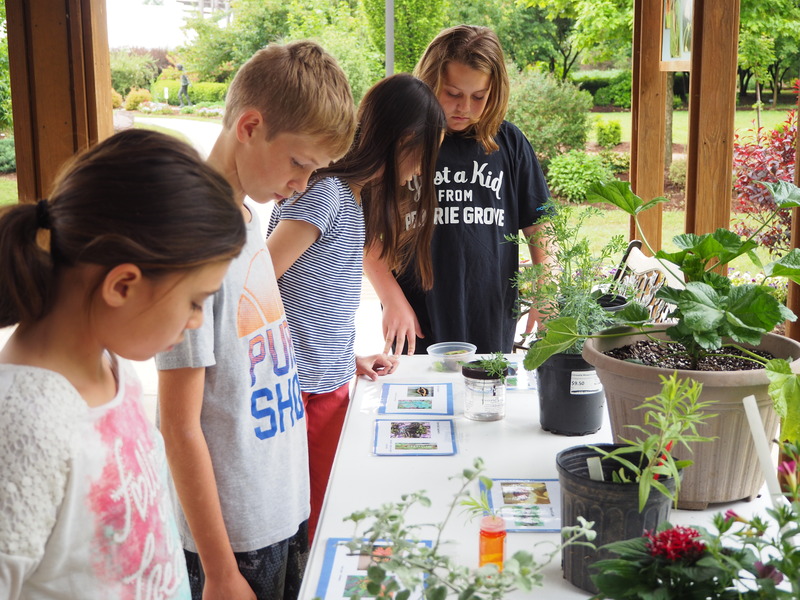 Staff or volunteers teach lessons on a variety of subjects including life cycles, pollination, ecosystems, native plants, watershed, and other science or garden related subjects. Specific subjects can be indicated when scheduling a trip or information can be more generalized. 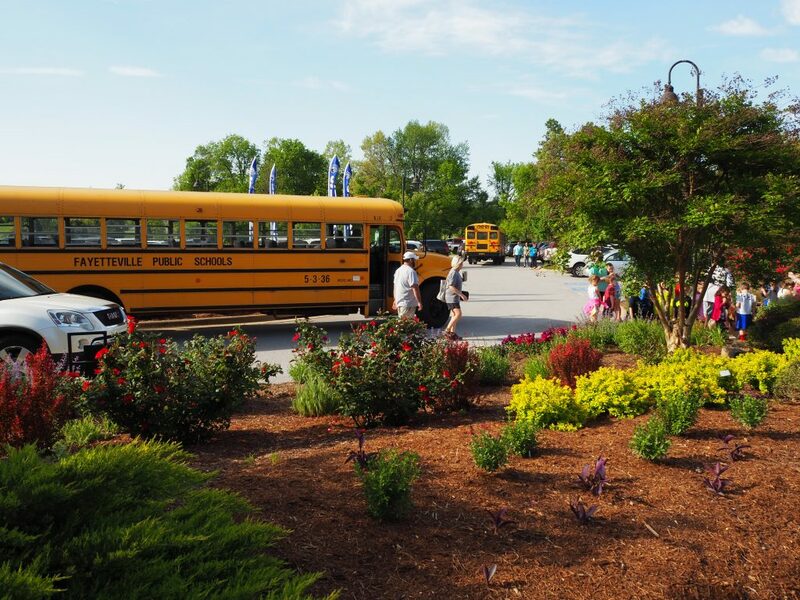 All General Field Trips include a 1 hour “Garden Walk” and you can add-on 1-3 “Stations” for a 2 hour field trip. Schools need to schedule a visit two weeks in advance. Garden Walk All ages (Pre-Seniors) 1 hour. A guide with walk your class through the garden and use the natural world as an interactive teaching tool. Guides will point out all the fascinating plants, features, and insects that live in every nook and cranny. We like to allow students’ keen senses of discovery and wonder lead the lesson to what interests their curious minds most. A citizen science project can also be added to this option. This walk is the same as the one above but with a focus on pollination. 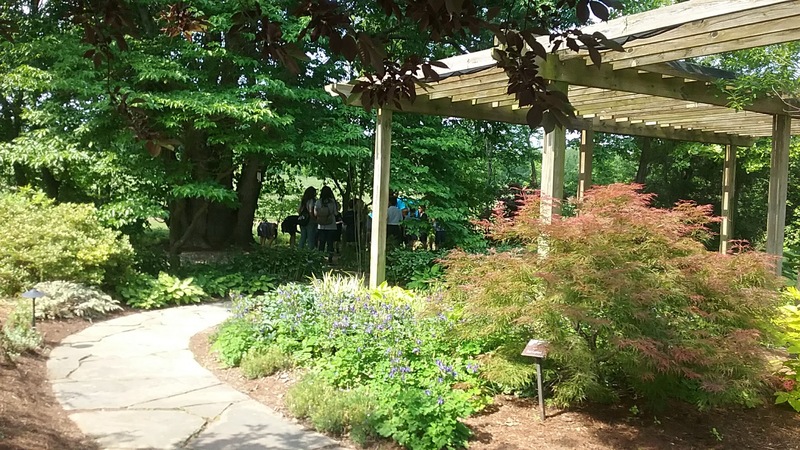 On this walk through the garden, the guide will focus on pollinators like bees and butterflies as well as flowers. In the butterfly house students will learn about metamorphosis and see every stage of the butterfly’s life cycle up close. Pollination and Butterfly Station — Students will learn what a pollinator is and discuss different pollinator. They will learn about the parts of a flower and the parts of a pollinator. Then they will participate in a hands-on activity that allows them to practice what they are learning. Garden station — Learn what a seed needs to grow and get your hands messy by actually planting a seed in some soil. This lesson includes a take home activity so teachers need to be prepared to transport a seeds in a little paper pots back to school. Earth Station — Students will learn about ecosystems, food chains, and food webs. They will learn how all life plays a role in a complex system and how if one element of the food web is destroyed then all other organisms are affected. A fun game they allows them to play with this complex concept is included. Water Station — Water is very important to every ecosystem. During this station students will learn about the importance of water, the water cycle, and/or water conservation. Field Trips are $80 per class, however half-price or free field trips can be extended to most schools. Teachers and chaperones do not have to pay if they are assisting a group of students. Reservations required at least two weeks in advance. If you have recommendations for curriculum units that we can develop to support your field trips, please let us know. You may schedule school tours by calling or emailing Amber Ebbrecht, Education Coordinator at 479.750.2620 or aebbrecht@bgozarks.org. The American Horticultural Society's Reciprocal Admission Program offers free admission and/or additional benefits at 300 gardens throughout North America and the Cayman Islands. You can reference the AHS website here. Donating to the Botanical Garden of the Ozarks is an investment in the quality of life in Northwest Arkansas!